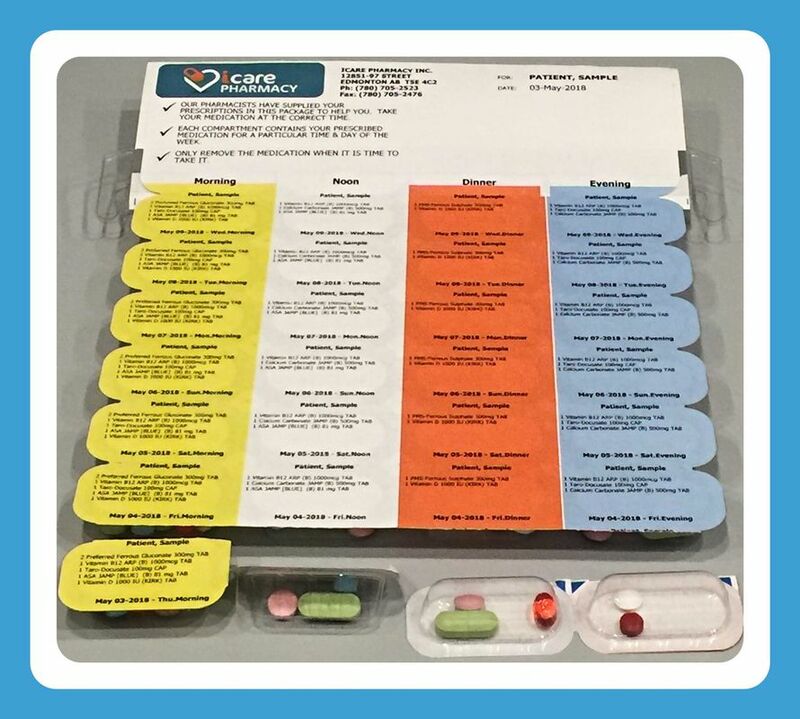 At iCare Pharmacy we can help organize your medications to help optimize your care. When you are on several medications it can sometimes seem overwhelming to remember to take your medications on time. 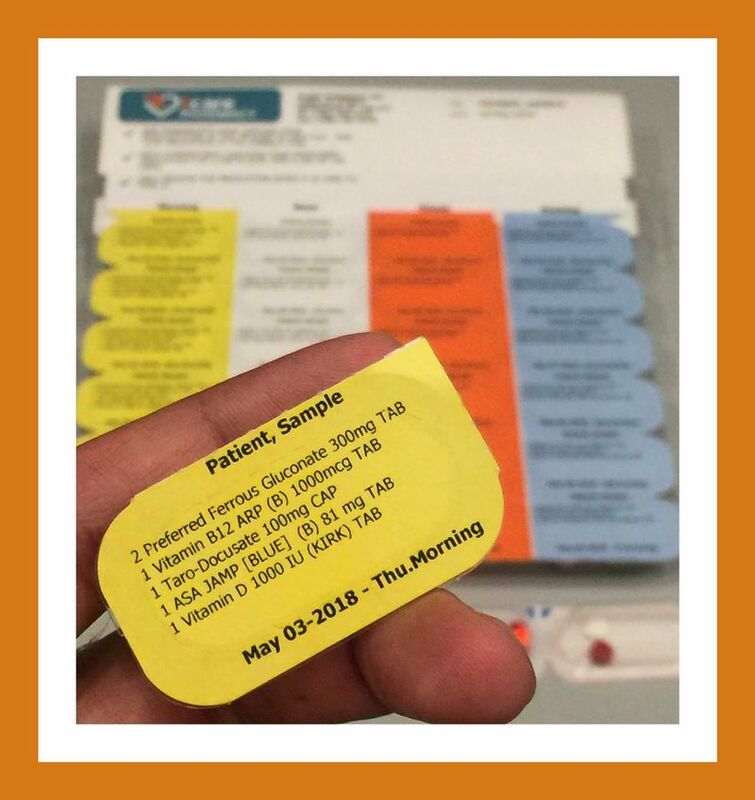 Packaging your medications helps to organize them so it is easier to manage as it acts as a reminder of when to take them. Also it allows you to keep track of any missed doses. 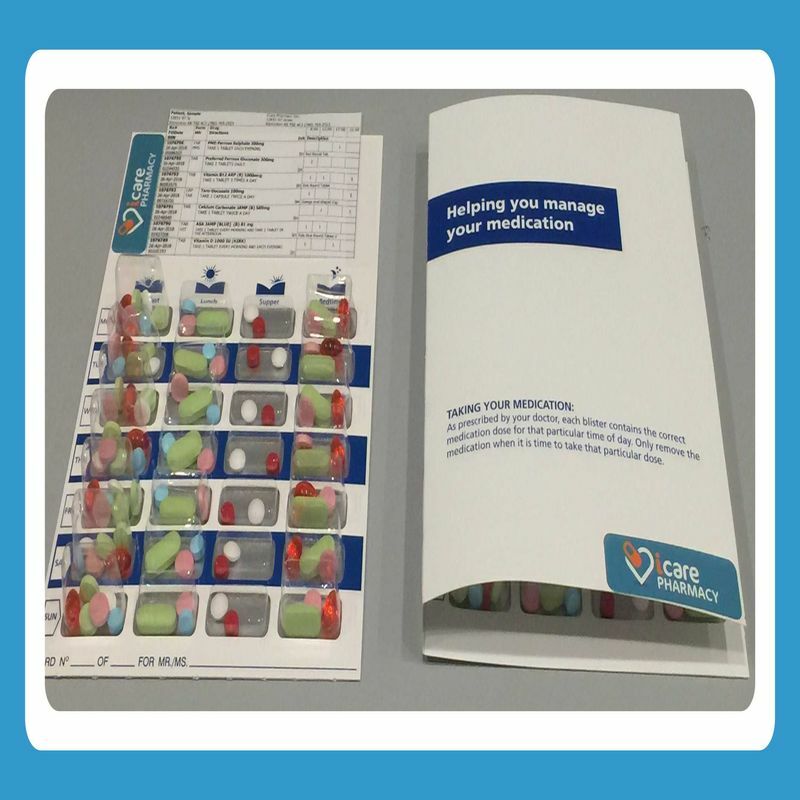 At iCare Pharmacy, We have a standard pack which is a single unit or we have our Flex Rx option which allows you to tear away a perforated strip and take it with you if you will be out all day or travelling so you do not have to take all your medications with you.